Samsung Galaxy Note 800 a really good but costly tablet by Samsung. Galaxy Note 800 has a great looks and broad display 10.1 inch TFT LCD capacitive touchscreen. Lets see its features. 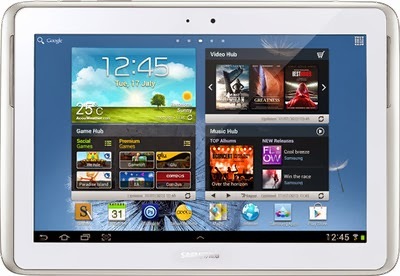 Following are Key Features of Samasung Galaxy Note 800 Tablet. HD Recording. Samsung Galaxy Note can record Hd videos upto 720p quality. 5 Megapixels primary camera & 1.9 Megapixels secondary camera. 2 GB RAM & 32 GB expandable external storage. Price : 35,490 /- Rs. only. Tell us what do you think about this product. How to see if any website is down or it is blocked? Nice tablet but its too costly..